Online dating is always a love/hate situation. It’s true that looking for a partner online is convenient, practical, and a lot less time-consuming than “offline” dating. It might even be that your chances of meeting the right one online are higher. However, the opinions on online dating Online Dating: Men Don't Get It And Women Don't Understand Online Dating: Men Don't Get It And Women Don't Understand Do online dating websites work? It's time for a frank discussion! What I learned from interviews was that online dating is equally painful for men and for women, but for very different reasons. Read More remains divided. When it comes to their love lives, people still don’t trust online dating apps. According to online dating app users themselves, there are a few things that are faulty about them. For example, you could get along great with someone on the app but never meet them offline. Or sometimes great-looking matches end up being… not so great in a real life. After all, there are so many people to swipe through, the whole process of finding someone to invest your time in becomes simply overwhelming. Some of these problems can be fixed once you change the dating app Tired of Tinder? Seven Free Alternative Dating Apps Tired of Tinder? Seven Free Alternative Dating Apps Now that Tinder is charging for its services, it might be time to turn to one of the many other dating apps available. Which will you try? Read More you’re using for one that suits your needs better Frustrated with Online Dating? These 9 Apps Are Doing Things Differently Frustrated with Online Dating? These 9 Apps Are Doing Things Differently There are several problems with what online dating looks like right now. These apps offer solutions to each of these problems so you find the one that works right for you. Read More . However, it looks like the future of dating apps holds something that will solve all of these problems altogether and make finding a partner online a lot easier — the name of the game is video dating. Game Changer or Blast From the Past? People were using technology for dating long before Tinder. And sometimes it was just as embarrassing to find out that someone you know is also doing it (that is, trying out “alternative” dating methods). Back in the 80s, it was all about video dating. You and I know about it thanks to this video clip — a video montage of what is essentially a group of young men reading their “Tinder” bios out loud. In reality, what happened was every single one of these young men recorded their personal profiles on VHS tapes to be sorted and distributed to potential matches by dating services. While it’s hard to tell whether this made any positive change in the participants’ love lives, it seems like the world of online dating is about to embrace video features again, for better or for worse. Hinge, The Relationship App is one of the first platforms to include video into their user profiles. It is now possible to include a 30-second video to “make your profile come to life” on the app. It’s unlike the short-form, disappearing videos found in Instagram, Snapchat, or Messenger “Stories”. To include a short clip on your Hinge profile you’ll have to pull it from the video you already have on your phone. Users will also be able to import videos longer than 30 seconds from their social media profiles (Facebook and Instagram). According to Hinge, this approach will help their users to better show who they really are through sharing fun or memorable moments and activities from their lives. This statement also supports this dating service’s main mission: to help users find relationships over casual encounters. The creators of Lively, the video chat dating app, are hoping to accomplish something different through embedding video features in their service. The focus is less on getting to know your match and more on just having fun while you chat with someone with similar interests to yours. When creating your profile on Lively you can add both photos and videos, which are then turned into story collages with transitions and movement. Just like in Hinge, the idea behind this is to show off your personality better through video. 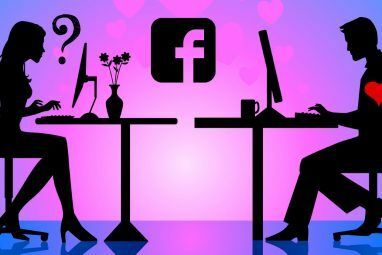 However, Lively’s video chat goes beyond that, with less attention paid to the romantic side of things and more — to building a real connection with your match. Does that mean that you jump into a video chat with someone you have just seen a few photos of? Yes. But fear not, Lively took care of the awkward side of things. When you just start a video session with someone, you have an option of keeping your screen blurred. The blur then disappears as you continue talking to your match, although there’s an option to add more of it if you’d like to remain hidden. Similar to Lively, more dating apps take a different path and try to reach beyond simple dating, as they become more like social networks. Popular apps like Bumble Why Women Are Flocking to the Bumble Dating App: 7 Reasons Why Women Are Flocking to the Bumble Dating App: 7 Reasons Women are flocking to Bumble, the dating app that launched as a rival to Tinder. Here are several important reasons why. Read More and Tinder have also added more friend-finding features Tinder Is Awful for Finding Friends, Use One of These Services Instead Tinder Is Awful for Finding Friends, Use One of These Services Instead Plenty of resources on the internet will offer new friends, but only a few of them will deliver on the promise. Here are the best. Read More , and Bumble went even further creating a mode for professional networking: BumbleBizz. Speaking of Bumble, the app developers are also embracing video with BumbleVID. It will allow users to share video “stories” on their profile, like those in Snapchat and Instagram. The stories will then disappear in 24 hours time. BumbleVID is set for a launch in a new rebuild of the app, arriving this fall. The new version of the app will also feature BumbleBizz and will allow the users to create multiple profiles depending on their purpose of use: dating, friends, or professional networking. One of the pioneers of the dating app world, Match.com is also joining the video game with a new stories-like feature. In this case, stories can stretch to up to 60 seconds and can be a combination of both photos and videos. You can even narrate your story, giving your potential matches a chance to hear your talk about your photos. 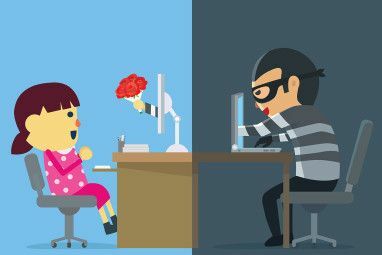 With the majority of the top-of-the-pile dating apps out there embracing a concept of video dating, it seems like things are finally looking up for those who decided to search for their love online 4 Online Relationship Tips That Actually Work 4 Online Relationship Tips That Actually Work There are plenty of examples to show that Happily Ever After is attainable for online and long distance relationships. Here are some of the best tips and advice to keep you on the right path. Read More . Adding video chats and stories might be that last component the dating apps need to make online dating a less frustrating and a more efficient (and enjoyable) process for their users. Before you go on testing the new improved version of your favorite dating app, we’d like to hear your take on this. 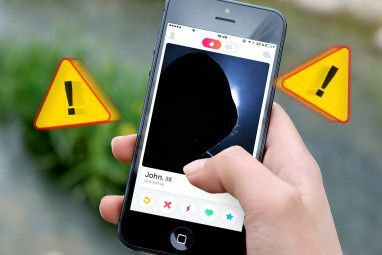 Do you believe video features are here to improve online dating, or is it only going to make it more difficult for people to find the right one? Has your favorite dating app started using video already? Please, share your experiences with video dating with us in the comments below! Host Your Website for Cheap With Hostinger’s Huge SaleIs This the Easiest Way to Change the World?